The word “rover” originally described a pirate. 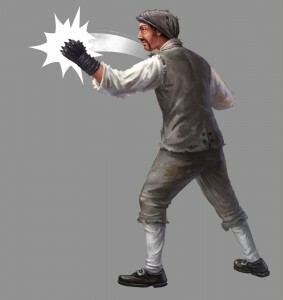 A close relative of “reave,” there was no doubt that “roving” implied plunder in old England, rather than the gentler connotations of being a “wanderer” that the word suggests today. 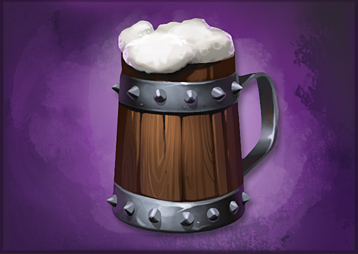 When our heroine, Shadowhand, seeks refuge, The Rover’s Arms extends its welcome; an inn packed with ruffians, serving hearty food and ales. The British Pub today is an institution recognised by locals and visitors alike. Coaching inns were important pitstops in the 18th century, where travellers on long journeys could get fresh horses and grab a bite to eat. (A bit like a motorway service station). 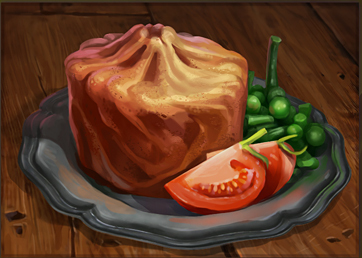 You could rely on an inn like The Rover’s Arms for a satisfying, traditional meal, like this seriously health-boosting steak and ale pie. 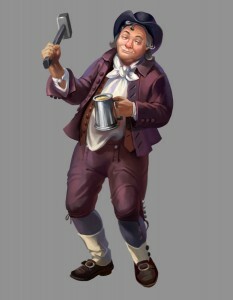 There are always a few drunks getting out of hand. 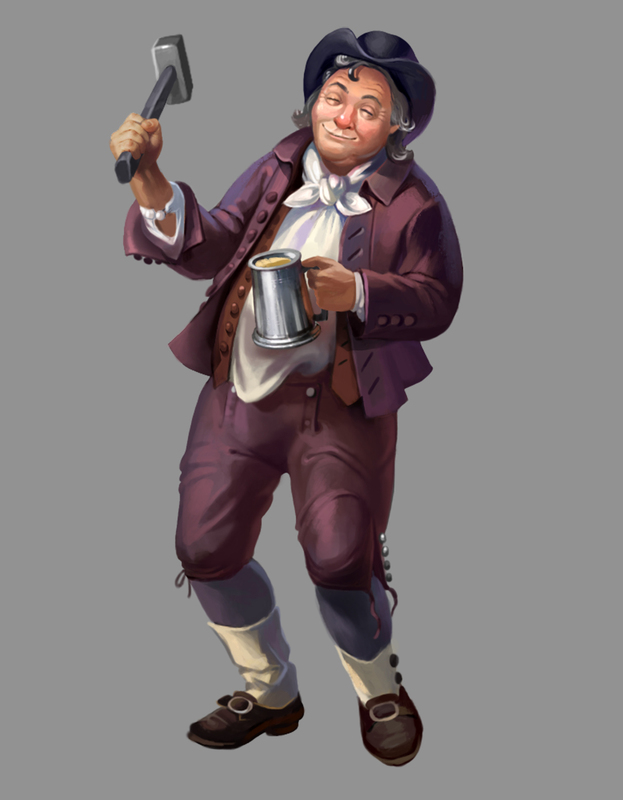 This chap has had one too many Tankards of Ale – which are great for the constitution but can slow your reflexes a bit in a brawl. And watch out, he has a hammer. 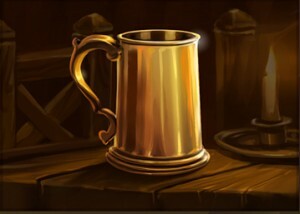 The refreshments are good but we can’t promise that the clientele are particularly desirable. This rogue has a nasty brutal glove, and he’s been getting meaner by downing a dubious local beverage, Brute’s Brew, which is reputed to give a greater chance to stun. It’s been fun, but Shadowhand should probably call it a night and move on…perhaps The Rover’s Arms is a bit of a sketchy venue, after all. 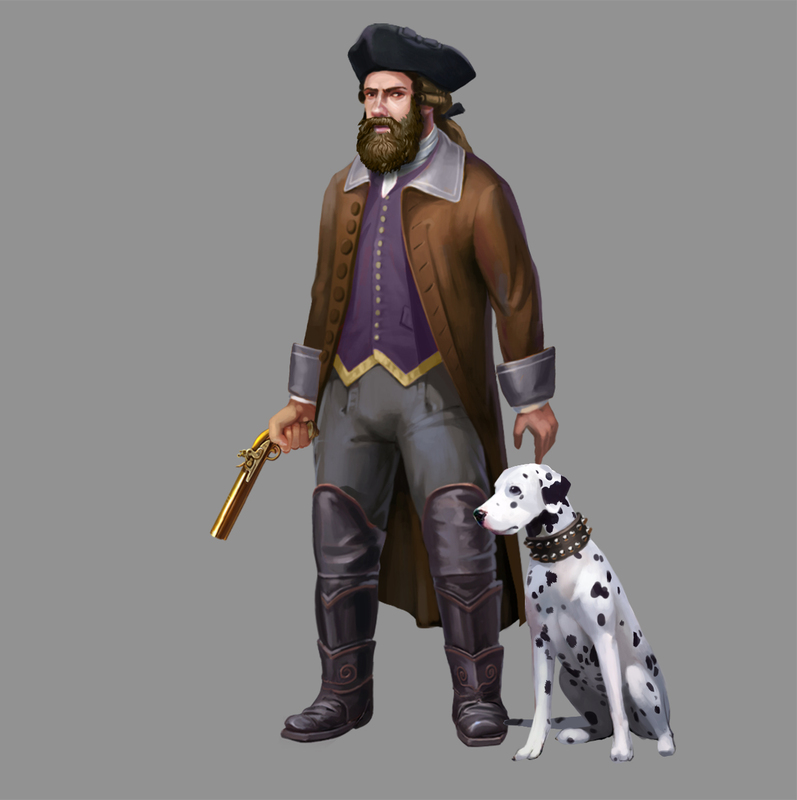 Shadowhand Dev Diary #5: It’s a holdup! 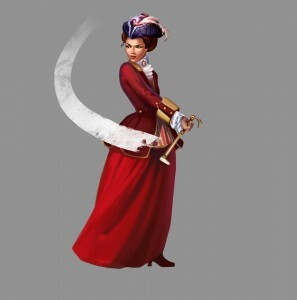 In this blog post I’m going to share a little bit about the heroine’s journey from aristocrat to outlaw in our RPG card game, Shadowhand. Lady Cornelia Darkmoor takes on a new identity as the eponymous highway thief, Shadowhand. This enables her to cross the boundaries from polite society – with it’s various rules and expectations – into the darker, lawless world of late 18th century smugglers, vagabonds and thieves. On one of her early missions, Shadowhand holds up a horse-drawn coach leaving a ball. Two wealthy young aristocrats are inside. Shadowhand begins to strip them of their valuables and their coachman attempts to fight back. His dog may look adorable, but it can also be used as a weapon. 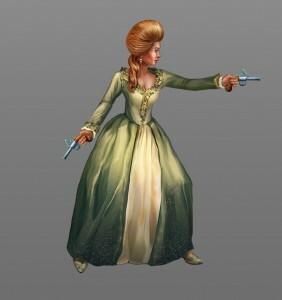 Lady Cornelia/Shadowhand hones her abilities and of course gets better gear and an increasingly wide range of attack strategies to choose from as the game progresses. And that’s just as well, because people she quarrelled with earlier could come back for revenge. 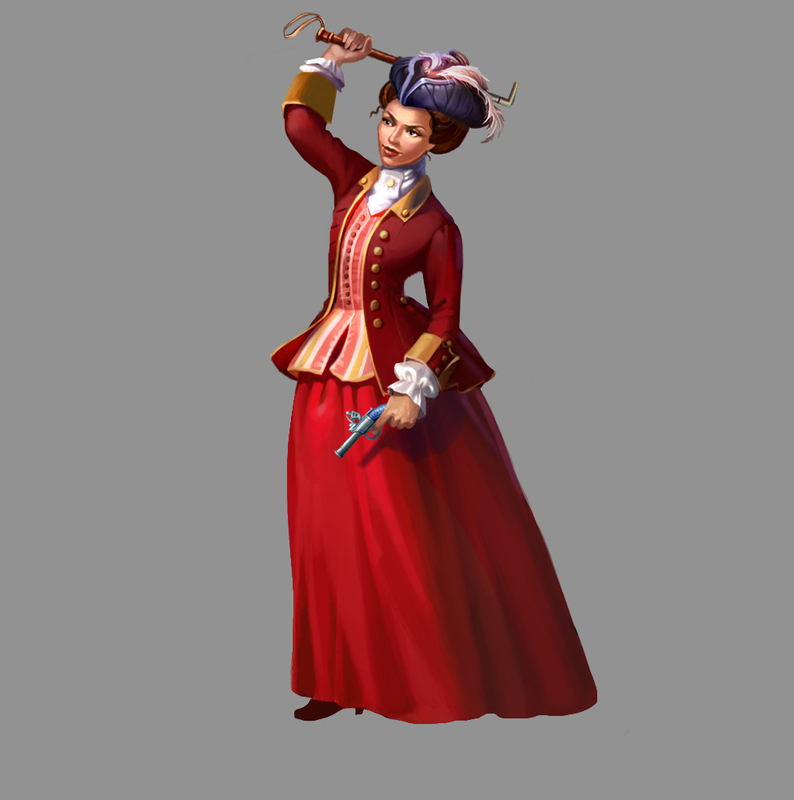 Our female aristocrat from the coach holdup is a case in point, as she’s scouring the moors on horseback with hounds and a riding whip looking for vengeance. Or maybe she just wants her jewellery back. 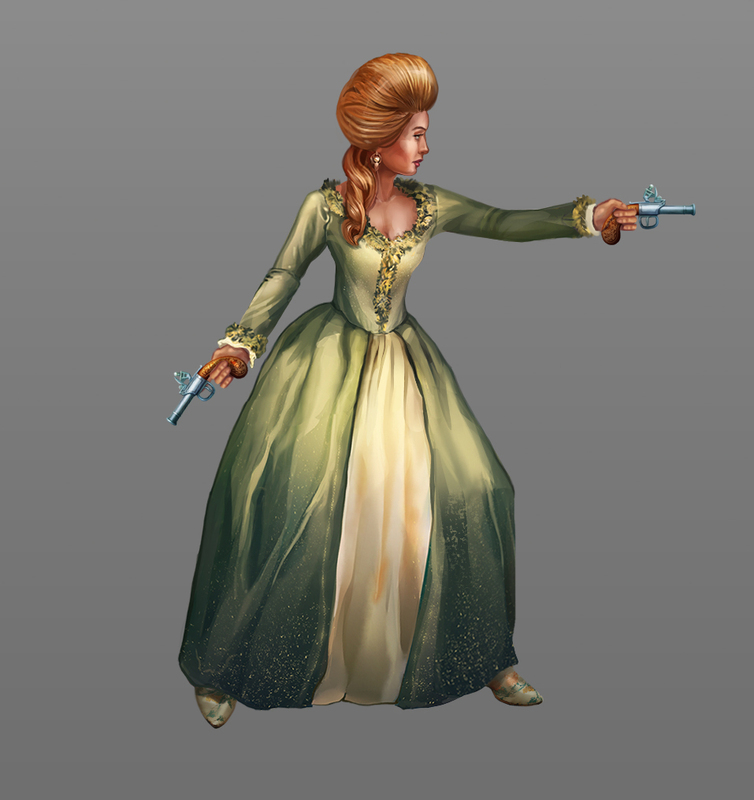 Shadowhand may be able to cross the line from heiress to criminal, but she also has to take the consequences. Fighting for justice is a risky business. 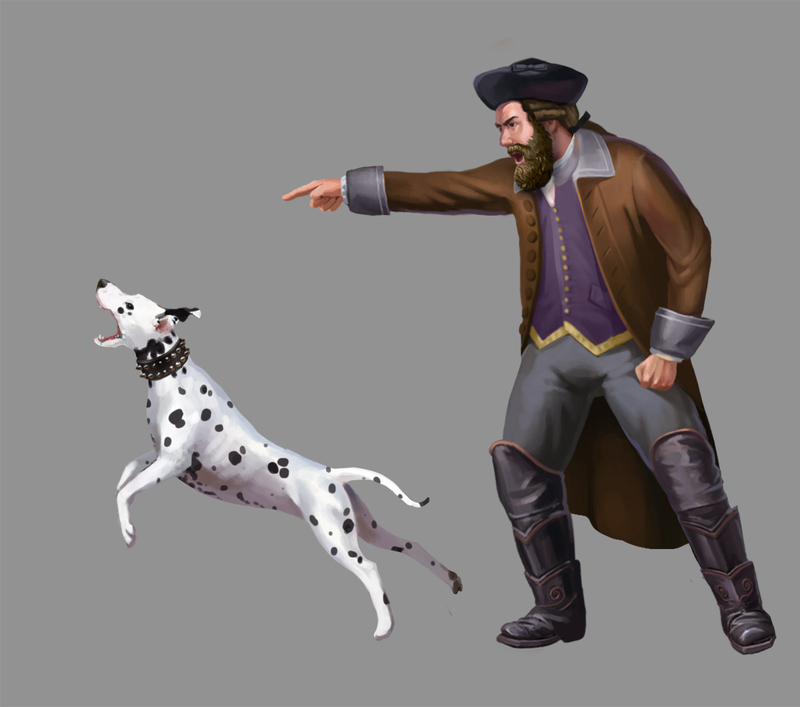 Posted in Developer Diary, Grey Alien Games | Comments Off on Shadowhand Dev Diary #5: It’s a holdup! You are currently browsing the Grey Alien Games weblog archives	for August, 2016.